Enjoy the beautiful natural scenic view from your casual dining area, Great..
4 Bd, 3 Ba 3,339 sq.ft. 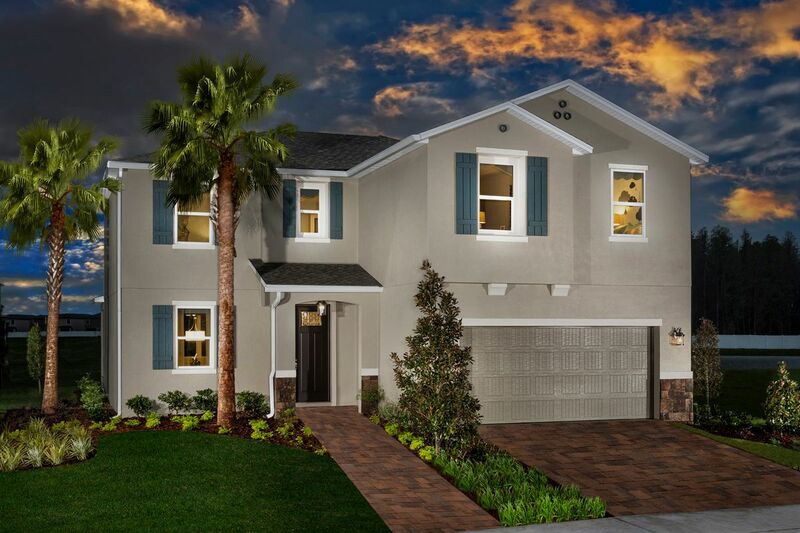 The Brentwood is a beautifully designed two-story home conveniently located.. The Brentwood offers a downstairs owner's suite with the ability to persona..
Youâ€™ll love being welcomed home every day by this stunning former model h..
3 Bd, 2.5 Ba 2,676 sq.ft. * Jack and Jill walk-in closets at upstairs master bedroom * Open floor pla..
4 Bd, 2.5 Ba 3,203 sq.ft. This gorgeous home immediately impresses with its professional landscaping,..
An inviting front porch ushers you into this home, where youâ€™ll first not..
4 Bd, 2.5 Ba 2,716 sq.ft. An inviting front porch ushers you into this home where you'll find a comfo..
5 Bd, 3.5 Ba 2,716 sq.ft. * Open floor plan with oversized great room * Upstairs loft * Sherwin-Willi..
An inviting front porch ushers you inside this home where you'll find a com..
Search new homes for sale in Trinity! If you are looking to buy brand new homes for sale in Trinity - browse floor plans, view photos, models, and pricing. You can also see new construction homes in Trinity and request an appointment or more information about a specific new home.